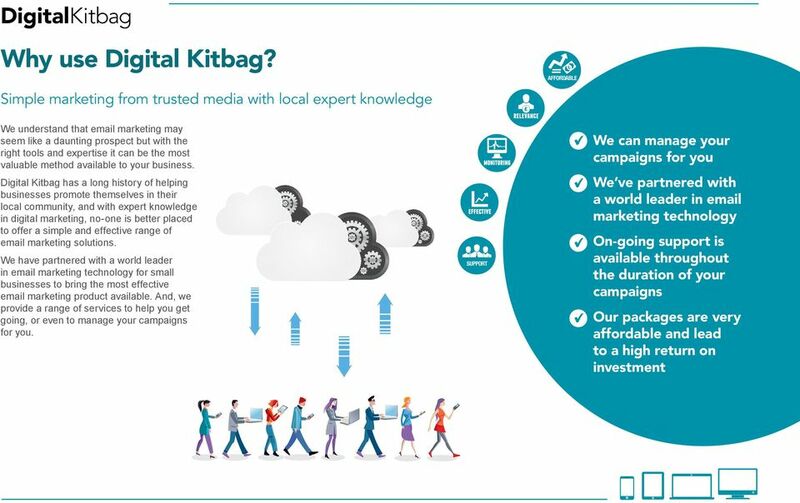 6 Why use Digita Kitbag? I don t have time to send emais. Our ibrary of emai tempates and stock imagery makes it easy to create a professiona design in minutes. But, if you d prefer, we can even manage the whoe process for you, from creation to distribution to anaysis. 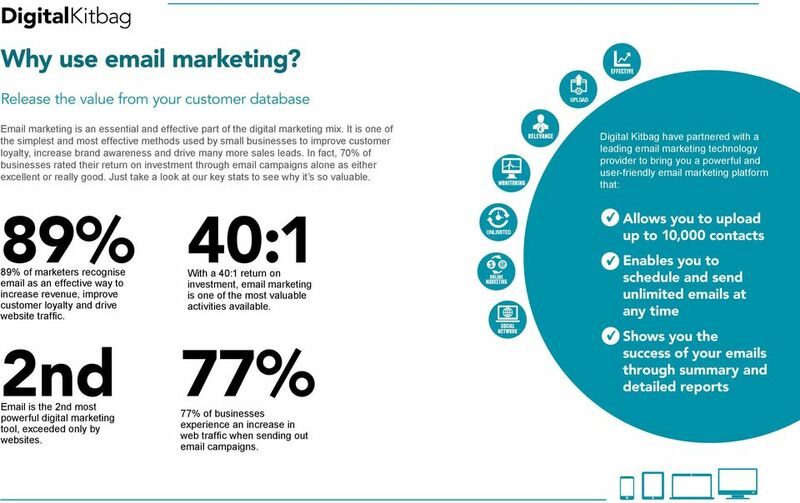 I want to reach peope beyond my customer database. 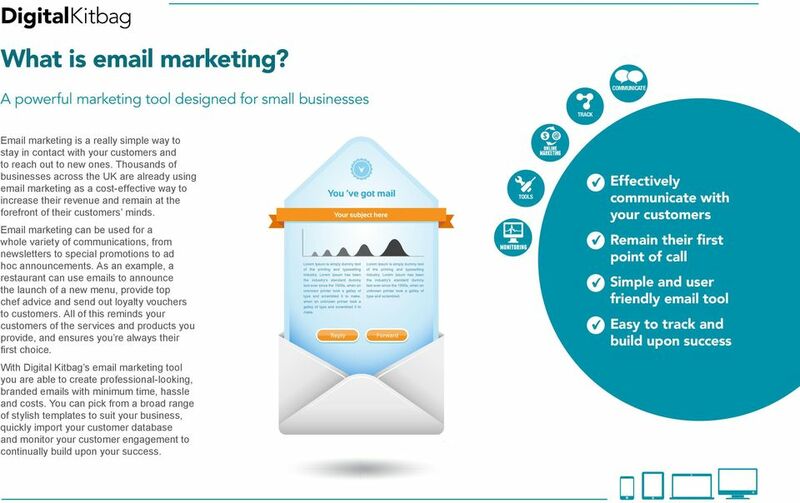 It s easy to incude sharing icons in your emai and to post your emai campaigns to socia media patforms, aowing you to tap into your customer s networks and more. I want to be abe to measure the success of my campaigns. 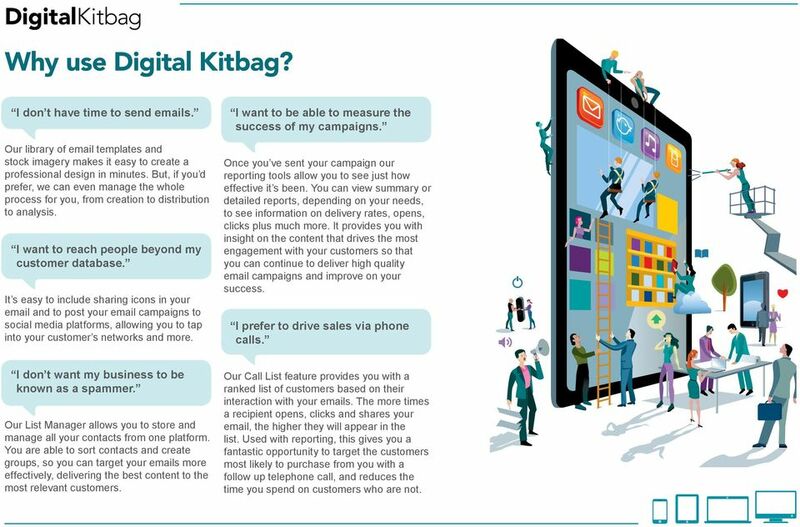 Once you ve sent your campaign our reporting toos aow you to see just how effective it s been. You can view summary or detaied reports, depending on your needs, to see information on deivery rates, opens, cicks pus much more. It provides you with insight on the content that drives the most engagement with your customers so that you can continue to deiver high quaity emai campaigns and improve on your success. I prefer to drive saes via phone cas. I don t want my business to be known as a spammer. Our List Manager aows you to store and manage a your contacts from one patform. You are abe to sort contacts and create groups, so you can target your emais more effectivey, deivering the best content to the most reevant customers. Our Ca List feature provides you with a ranked ist of customers based on their interaction with your emais. The more times a recipient opens, cicks and shares your emai, the higher they wi appear in the ist. Used with reporting, this gives you a fantastic opportunity to target the customers most ikey to purchase from you with a foow up teephone ca, and reduces the time you spend on customers who are not. 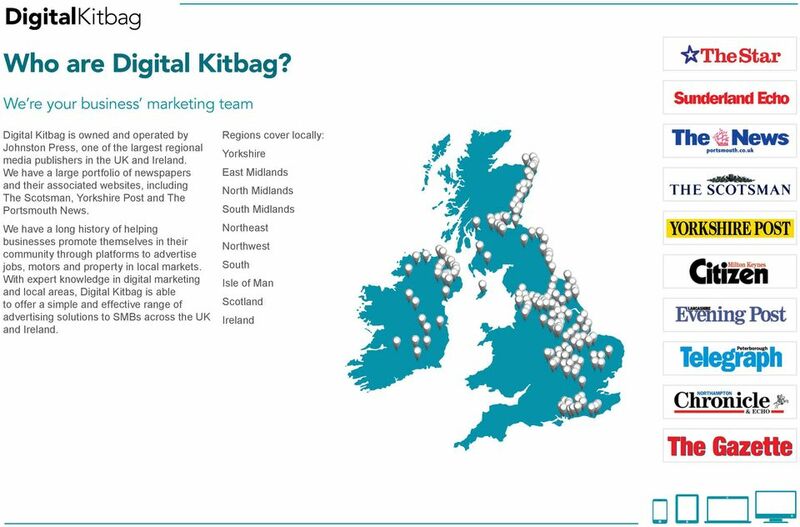 Social Media Management Who are Digital Kitbag? 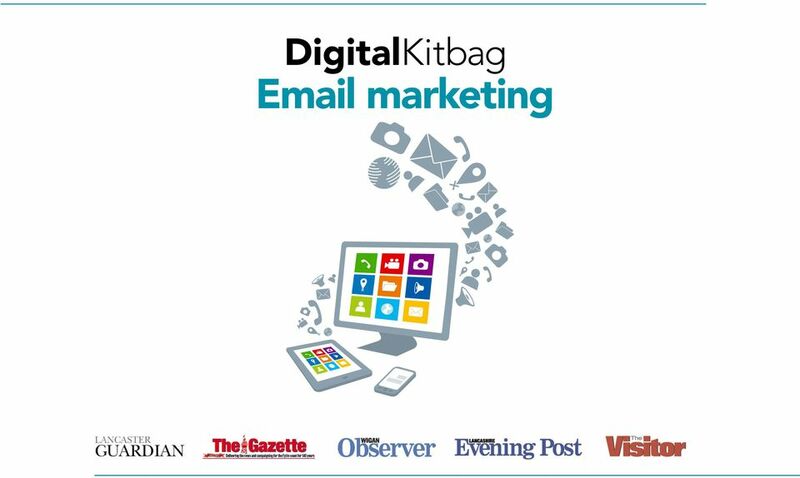 We re your business marketing team Digital Kitbag is owned and operated by Johnston Press, one of the largest regional media publishers in the UK and Ireland. 1 P a g e W r i t e T h a t B o o k! Y o u H a v e a B o o k i n Y o u N o w W r i t e I t! Write that Book! You Have a Book in You Now Write It! Tom Deevy (left) from Bastion, Joanne Pratt from FW Capital and Mark Irving from Irving and Ramsay who advised on the investment. 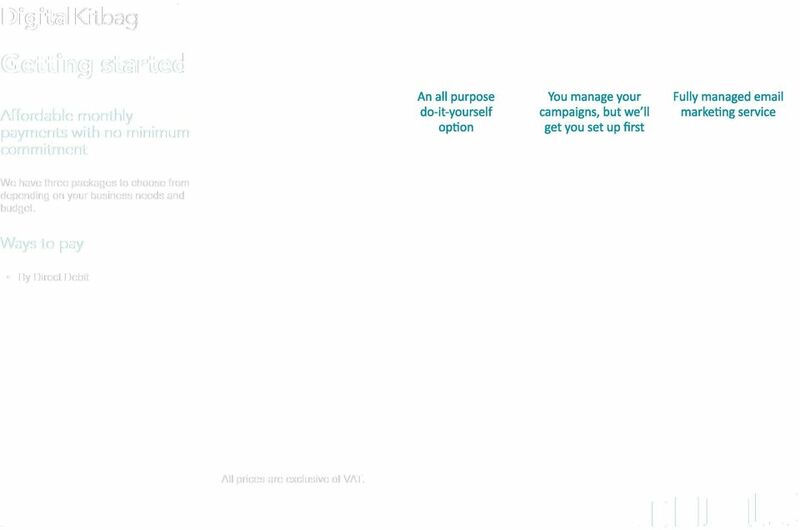 Excerpted from Content Strategy for the Web by Kristina Halvorson and Melissa Rach. Copyright 2012. 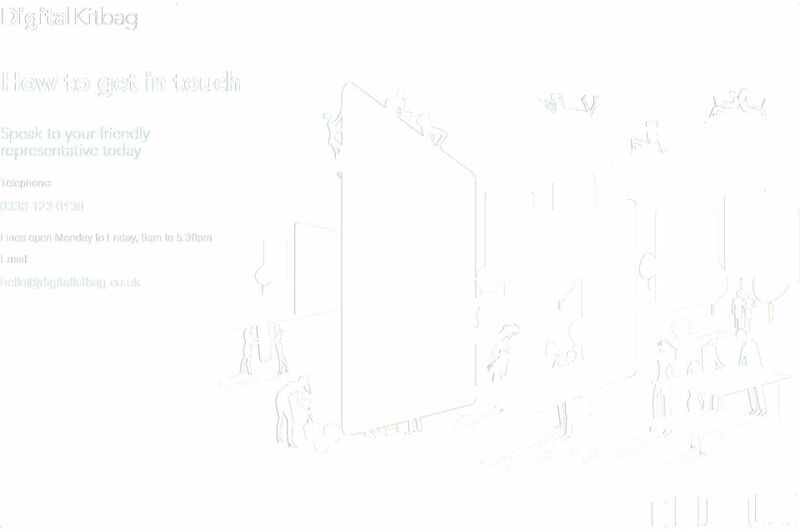 Used with permission of Pearson Education, Inc.